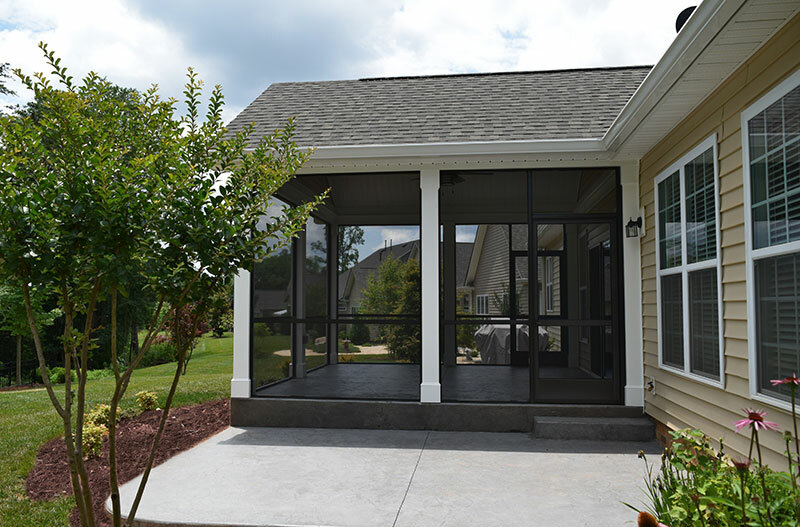 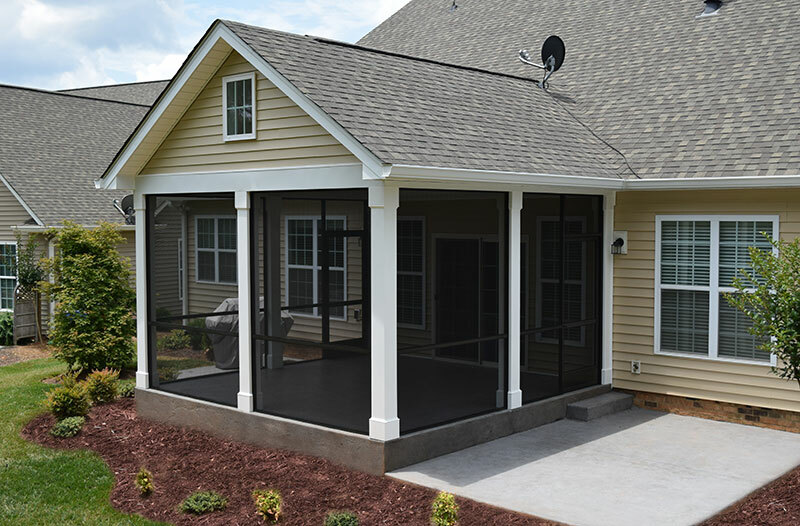 This newly finished screen porch and stamped concrete patio was created because the client could not use the backyard due to the hot summer days on the old open patio. 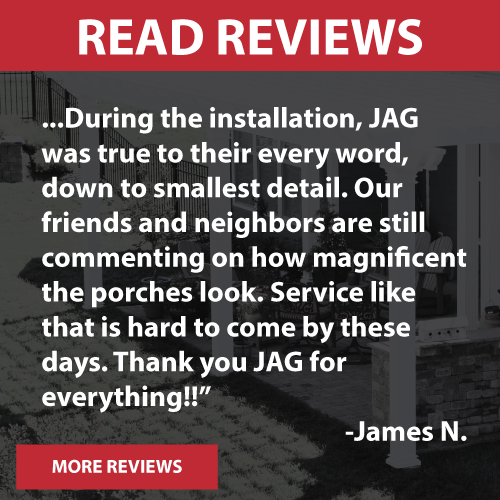 JAG created a raised stamped concrete floor for the screen porch to avoid any steps coming out of the home. 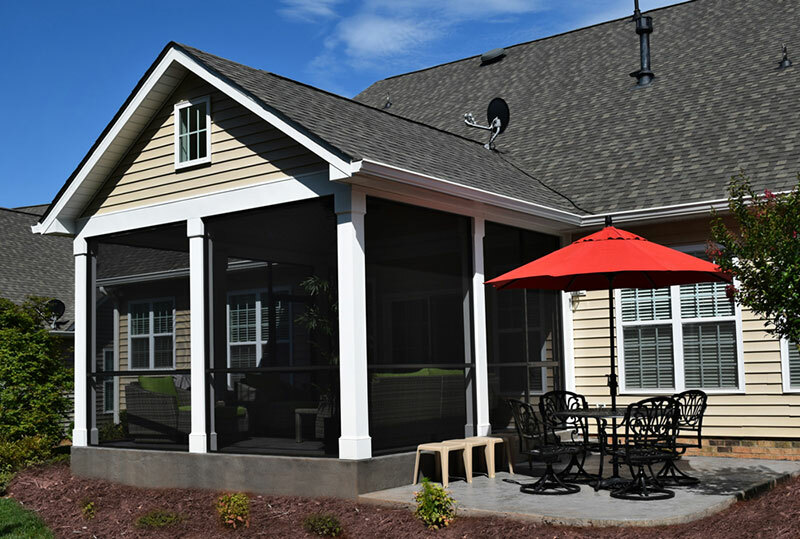 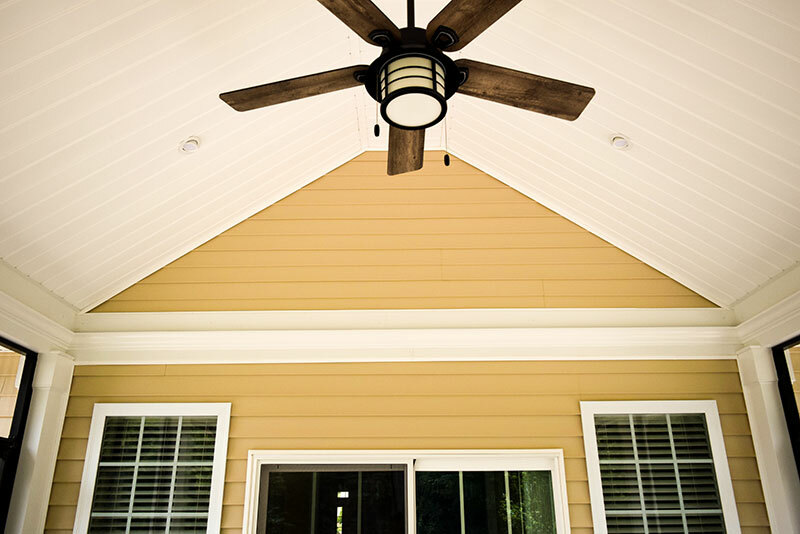 The new porch includes a stamped concrete floor, tall vaulted room all screened in with low maintenance materials on the chunky posts, header, vinyl siding to match the homes existing siding, vinyl solid soffit ceiling with eye ball can lights, a ceiling fan finished off with perimeter crown molding with rope lighting. 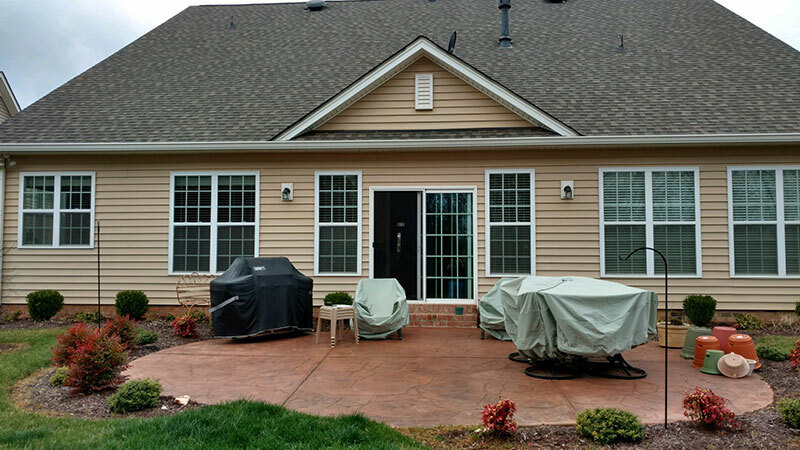 This project also included a stamped concrete patio for the grill and another on the other side of the porch or the outdoor dining set.